Although the box is geared toward children ages 6 to 11, Sophia and Bobby (4 and 2-1/2) really enjoyed many of the activities in the box. 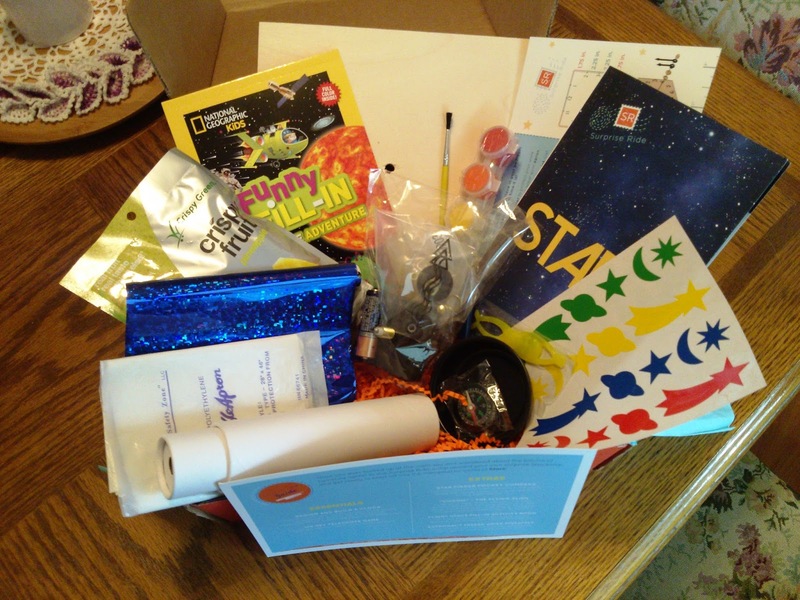 We received the STARS space-themed box, which features a Design & Build Clock, We Spy Telescope, Star Finder Pocket Compass, "Cosmo" the Flying Alien, Funny Space Fill-In Activity Book, and Astronaut Freeze-Dried Pineapple. There was also a booklet with facts about space, stars, and telling time. 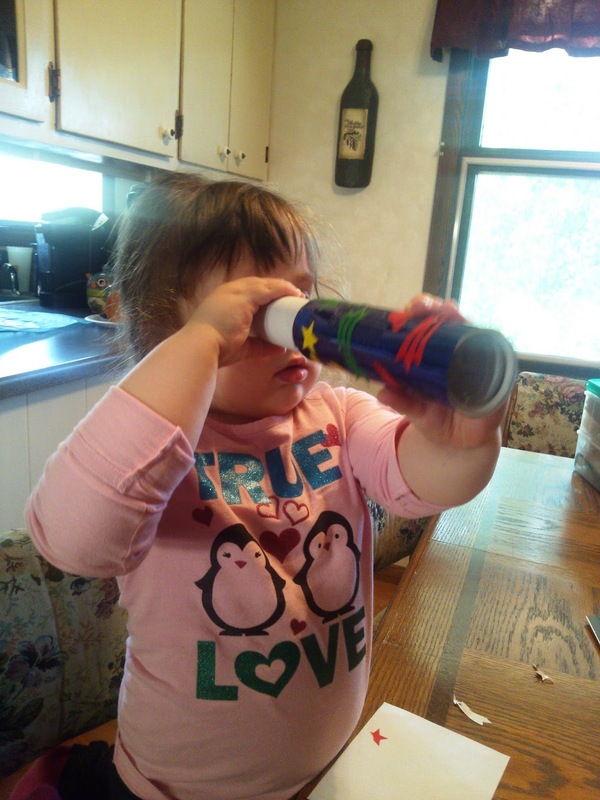 The kids LOVED the space pineapple and decorating and playing with the telescope. We also had quite a hoot playing with the flying alien toy. 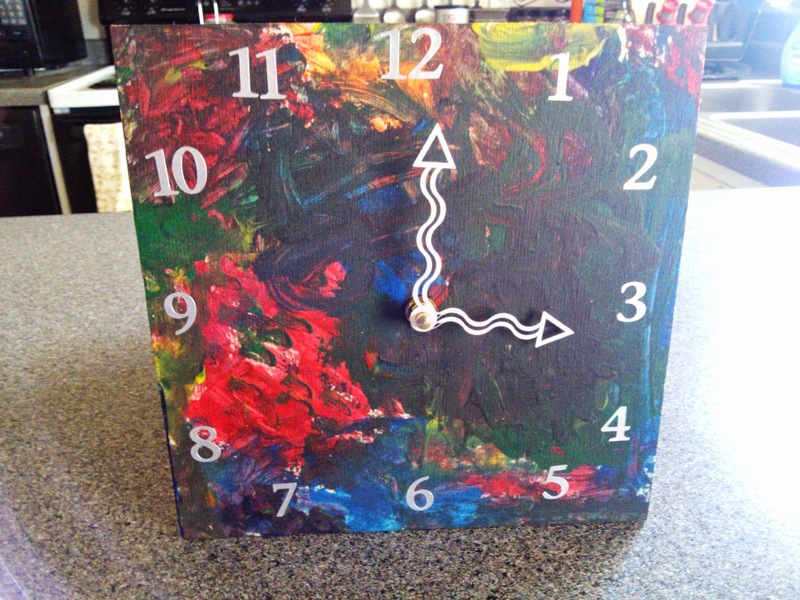 Sophia really enjoyed painting the background of the wooden clock. 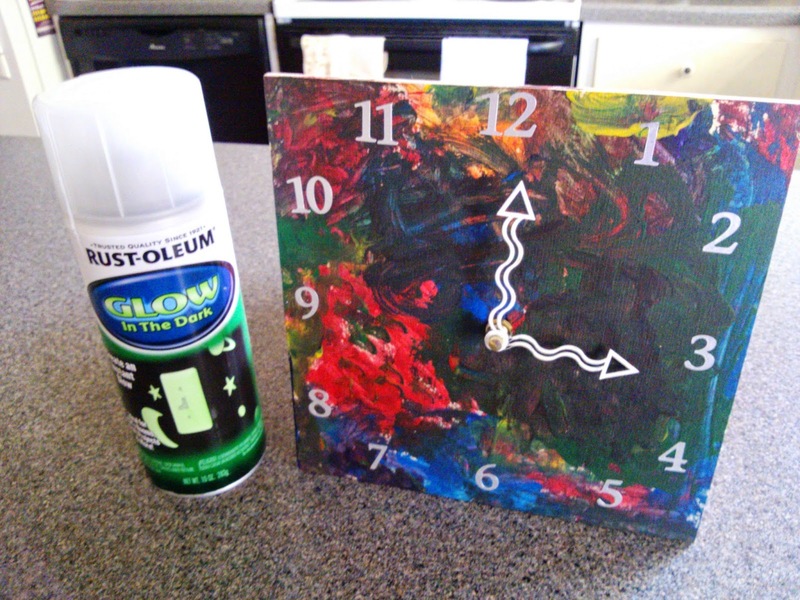 The kit came with all of the clock parts, paint, paintbrush, apron, water cup, and even tissue paper to paint on to keep the table clean. Once the paint was dry, I measured and added numbers using silver stickers I had. I also painted the hands white so they would stand out from the dark background. Then we used Glow in the Dark spray paint to make it all glow! It looks so cool in the dark, I wish I could capture it on camera! 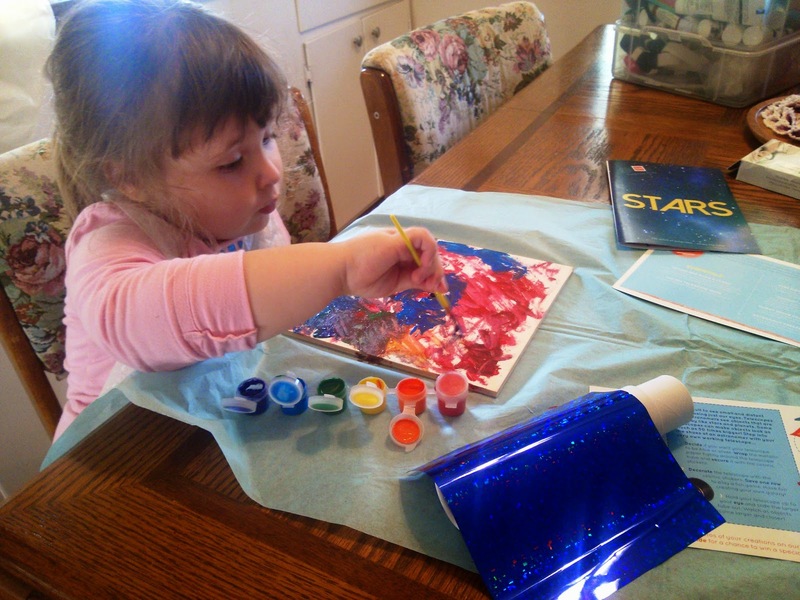 But it looks really nice in the daytime too - Sophia painted a masterpiece! Our only issue was that the mechanism of the clock didn't move the hour hand at all. I tried figuring it out for days, and finally we took it apart to find that there was a gear missing in the mechanism. I contacted the company to let them know we received a defective clock mechanism, and they responded promptly and shipped out a new clock mechanism for us! They were very friendly and easy to work with. Overall, this box was packed full of fun activities and learning opportunities to keep kids busy when they're bored. It's perfect for summertime when kids the kids are out of school, holiday breaks, or even on weekends. Plus, your kids will be so excited to find out where their next box will take them! Enter Below to Win a Surprise Ride Box!